An excessively low voltage from the sensor is sent to ECM. The Intake Air Temperature (IAT) sensor is built into mass air flow sensor or in some vehicles mounted to the air filter duct housing. The sensor detects intake air temperature and transmits a signal to the Engine Control Module (ECM).The temperature sensing unit uses a thermistor which is sensitive to the change in temperature. Electrical resistance of the thermistor decreases in response to the temperature rise. 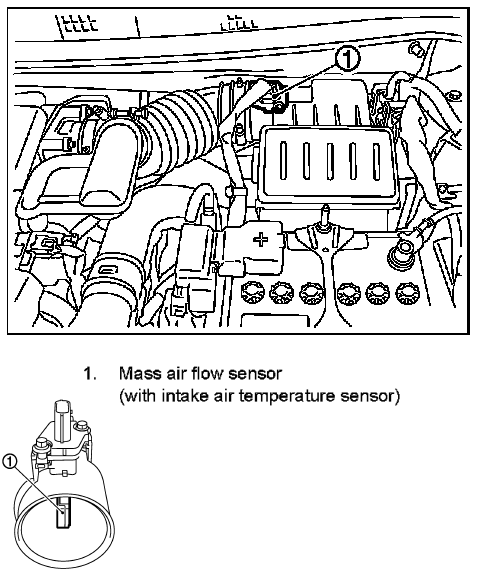 The Intake Air Temperature signal is used as an input for various systems in the vehicle. Help us improve AutoCodes.com. Leave a comment below or tell us if the information above help you fix the code. What are the symptoms on your vehicle for the P0112 2008 Nissan Versa code? Have you replaced any parts?